Xtramath - learn math facts in under 5 minutes a day! 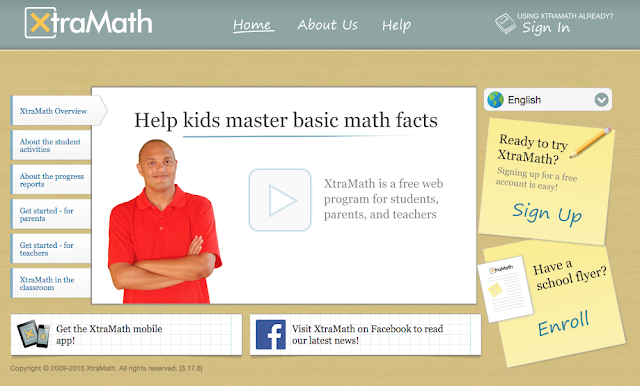 Xtramath is a free* online math fact fluency program that helps students master addition, subtraction, multiplication, and division. These basic facts are essential as they are the basic building blocks for higher-level math. Their goal is to to develop effective, efficient, adaptive, and intrinsically rewarding supplemental math activities. *A paid app ($4.99) does exist on the App Store. However, users have access easily on the iPad or iPhone using Safari. 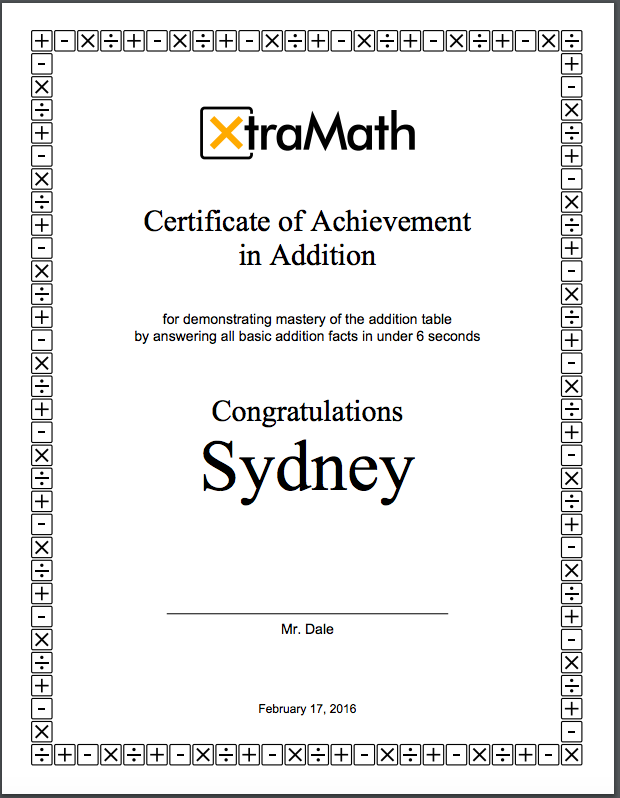 My daughter does use the app and it is pretty easy to use on the iPad. Xtramath does not have to be just used by teachers at school, it can be used by parents with their child(ren) at home. It takes only a few minutes each day (typically 5 minutes) to work on a session. When a user logs on they will see the image below. On the left-hand side you will see links to videos dealing with an overview of the site, about the student activities, the progress reports, get-started for parents, get started for teachers, and xtramath in the classroom. If you have any questions about the site, I recommend you either click here, or select the Help section on the Home screen. In the screenshot below you will see FAQs. Each question has a whole section to assist you. When a user logs on they will be greeted by Mr. C (man above) welcoming them to the site and to answer the questions they are asked as accurately and quickly as they can. But to remember that they should not go too quickly. The questions start out on the easier end and get a bit more difficult. The great thing about the site is it basically adjusts to the user. If it notices that the user is struggling with certain facts, it will make the questions easier and then progress from there. I personally think that it what makes Xtramath so spectacular. It is a teaching and learning tool. It does not just throw random facts at the user. 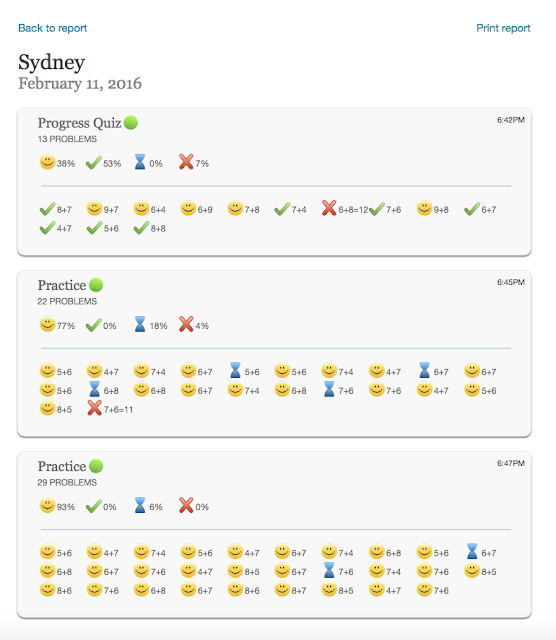 When the user has completed their session they will then be asked to work on their first progress quiz. This quiz is the one that really counts for the user's percentile on their chart. You will see a smiley face (question was answered correctly in under the amount of time), a check (answered under 10 seconds but not fast enough to be under the allowed time, a time clock (took too long to answer +10 seconds, and a red X - (incorrect). 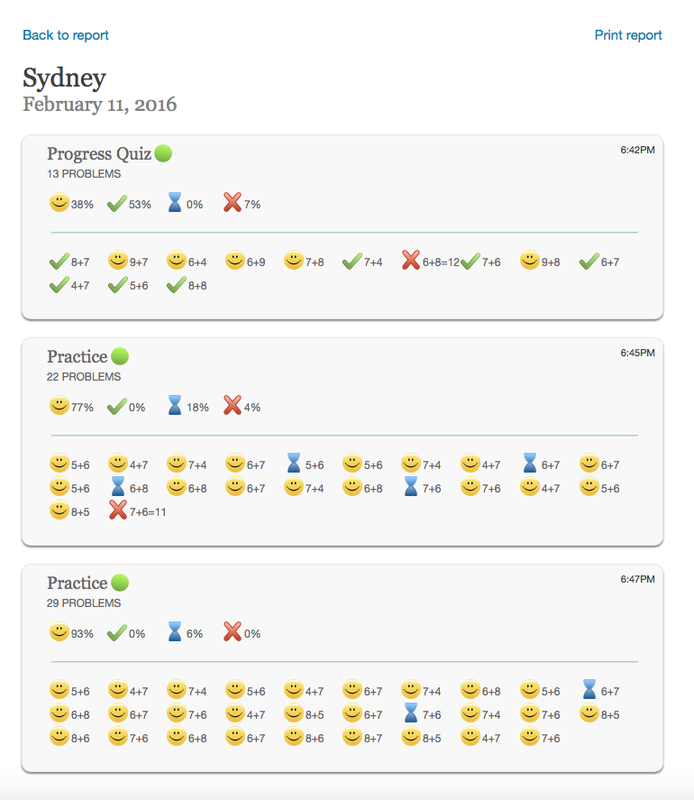 See below my 6 year old daughter's report from back in February. When you are looking at your child or student's progress, you will see a calendar that will look to the one you see below along with a description of what each color means. One last point to make about this site that I really think is amazing is that they allow the teacher or parent to adjust the time the child has to answer the question. 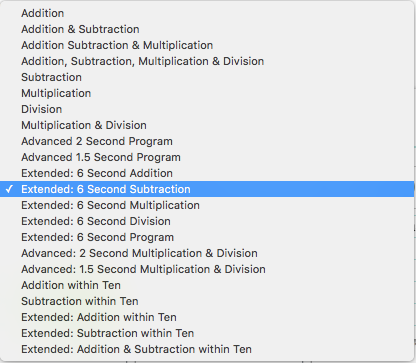 The program starts everyone at 3 seconds, but it can be adjusted up or down. 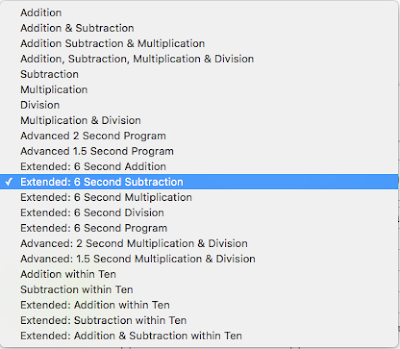 This feature really helped my six year old daughter with her addition facts as 3 seconds was too fast, but 6 seconds was just right. It can then be adjusted again after they have mastered that particular time. You can see the programs below. 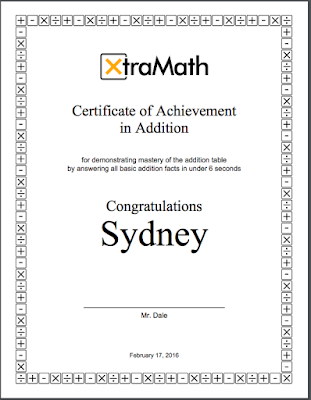 Students really loved their certificate that they earn when they complete either addition, subtraction, multiplication, or division. Below is an example for you to see. If you have any questions at all, remember to try the help section. It is a valuable tool! If you would like to watch an instructional 4 minute video I created for the parents of my 4th grade students last year - watch the video embedded below.